I keep hearing a lot of moaning at the bar from the right wing; most notably from Bill Kristol of the Weekly Standard. It seems like every time I see this guy, whom I refer to as “The Wincer” because he always looks like he thinks he’s about to be slugged, he’s going off on Mitt Romney. No matter what Romney says or does, Kristol and a few of his fellow ivory tower pinheads can’t wait to dissect it, as if they’re performing the world’s longest autopsy. I’ll admit that Romney doesn’t always say things in the best way possible, and that his attempts at humor often bring the term “lead balloon” to mind. But he’s entitled to goof occasionally. Heck, he’s been on the campaign trail for what must seem like an eternity to him, and a bit longer than that to me. But the bone I’d pick with Kristol is that until the debates, Romney isn’t going to have a chance to go toe-to-toe with Obama. Every single thing Obama says will be filtered through the media until it shines like gold. Everything out of Romney’s mouth is going to be slathered with mud. That’s no excuse for conservatives to pile on, as though jockeying for an invitation to MSNBC’s Christmas bash. I keep hearing that Obama will win the debates. The same people who believe that must also assume that Joe Biden will put Paul Ryan in his place. I will simply remind one and all that after Romney got the hang of debates, he even began getting the best of Newt Gingrich. And anyone who believes that Obama is smarter, sharper or funnier than Gingrich needs to have his head examined. I have no idea why Kristol has been so hard on Romney. Perhaps he felt that Mitt should have been calling on him for advice, sort of like those guys in the cartoons who are always showing up on mountaintops to ask the shaman for the secret of the universe, only to be told it’s strawberry ice cream. But, heck, I wanted to be a speechwriter for Romney and I managed to swallow my disappointment when the call didn’t come. Kristol should do the same and quit grumbling, or I’m going to give him something to wince about. One of the things that caused Romney a lot of grief was when he said that 47% of Americans act like victims and expect the federal government to give them free stuff. Okay, he may have had the percentage off because apparently he mistakenly included some retired folks who don’t pay any income tax because they’re retired and aren’t earning a taxable income. But people are always getting numbers screwed up. Hey, when David Letterman asked Obama what the national debt was when he entered office, he admitted he had no idea. He probably also has no idea that the figure has grown during his administration from $10.6 trillion to $16.1 trillion, and he probably doesn’t care, and that’s a lot worse than anything that Romney has ever said. At least Romney recognized that entitlements are like a massive asteroid streaking towards America, and too many people, including the putz in the Oval Office, are acting as if we can all simply duck at the last second and it will fly on by. There’s no getting around the sad fact that Obama is popular with a certain group, mainly consisting of greedy idiots. They adore him for pretty much the same reason that certain outlaws have captured the public’s fancy over the years. What people like Jesse James, John Dillinger, Willie Sutton, along with Bonnie and Clyde, had in common was that they all robbed banks. Everyone, including ministers and priests, has probably fantasized knocking over a bank. After all, there’s all that money just sitting there and there’s so much good that could be done with it. One could build a hospital or feed the poor or, if one didn’t happen to be a member of the clergy, a person could buy one of those humongous TV sets that bring the baseball game right into your living room. But I digress. In order to achieve iconic status with the masses, though, what you need to do is not only steal all that money that doesn’t belong to you, but take a moment to burn a few mortgages. A lot of folks were quite happy to shield these thieves from the law, apparently in the hope that theirs would be the next mortgages to go up in flames. It sure sounds to me like Obama could have happily driven the back roads of Texas and Louisiana with Bonnie Parker and Clyde Barrow. After all, there’s nothing he enjoys more than taking other people’s hard-earned money and passing some of it around to people who didn’t work for it and who don’t deserve it. Instead of doing it as a way to guarantee he’ll always have a hideout available, though, he does it in order to buy votes, in the hope that his own mortgage will be extended an additional four years. The good news is that Jesse, John, Willie, Clyde and Bonnie were all eventually stopped. 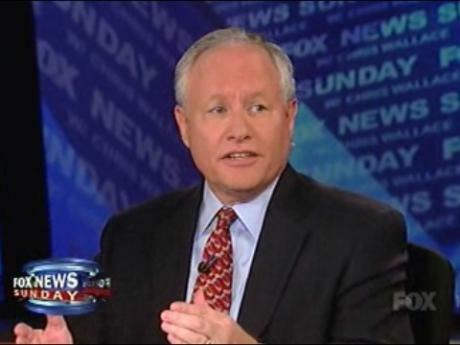 The voters will stop Obama, too, no matter what Bill Kristol has to say about it. Burt Prelutsky is the author of, most recently, Barack Obama, You’re Fired! : And Don’t Bother Asking For A Letter of Recommendation, available from Amazon.com.